West's Olympia Cyclorama was Adelaide's first permanent theatre. It opened on this site on 5 December 1908. The building once housed a skating rink. In 1939 the theatre's owner, T.J. West, decided to knock it down and build a modern one in its place. The new West’s Theatre was reopened on 1 December 1939. More than 1,500 people attended the opening to watch the popular British film Pygmalion. The papers reported that the "House Full" sign lit up minutes after the doors opened. The Mail, described the new Art Deco building on opening night: "Its bold, ultra-modernistic façade is a column of solid white architecture, brilliantly lit: a thickly carpeted foyer decorated with colourful murals, leads to a pair of curving staircases, which form the approach to the theatre lounge. Elaborate powder rooms, furnished in modernistic style in mulberry tonings are provided for women patrons." The press also noted that even the usherettes wore "autumn-toned" uniforms to complement the theatre’s colour schemes. 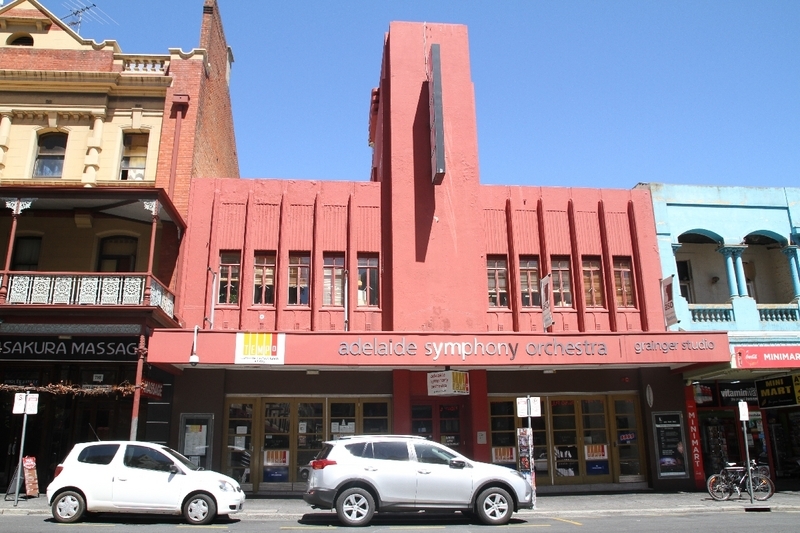 The theatre is now the home of the Adelaide Symphony Orchestra. The original orchestra pit, green room and dressing rooms are still there. However they have been covered and are not visible to the public. West's Olympia Cyclorama, Hindley Street: T.J. West operated a theatre in this building until 1939, when he knocked it down to build the new Art Deco theatre. 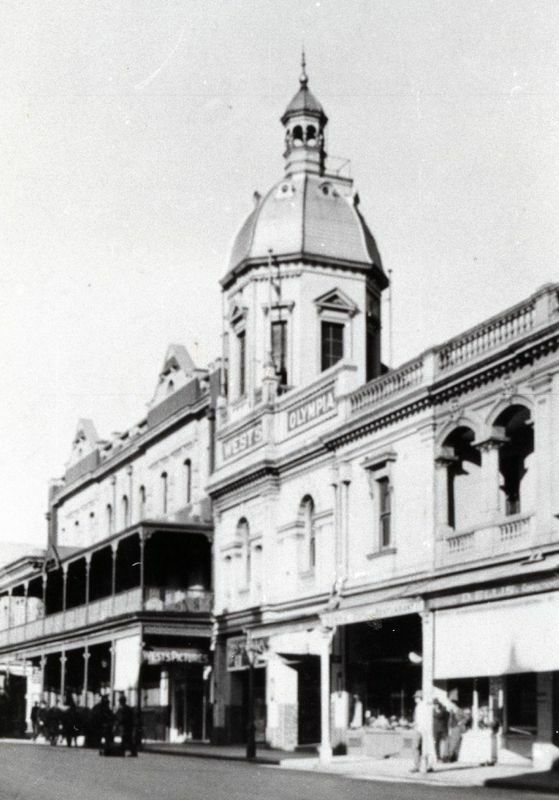 “West's Theatre,” Adelaide City Explorer, accessed April 26, 2019, https://adelaidecityexplorer.com.au/items/show/39.